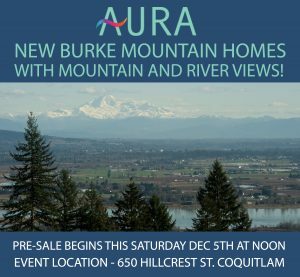 Noura Homes is back on The Foothills at Burke Mountain with their new neighbourhood Aura. With pre-sales launching this weekend, these 20 homes feature mountain & river views, custom home options and green belts. Learn More About Aura Here.